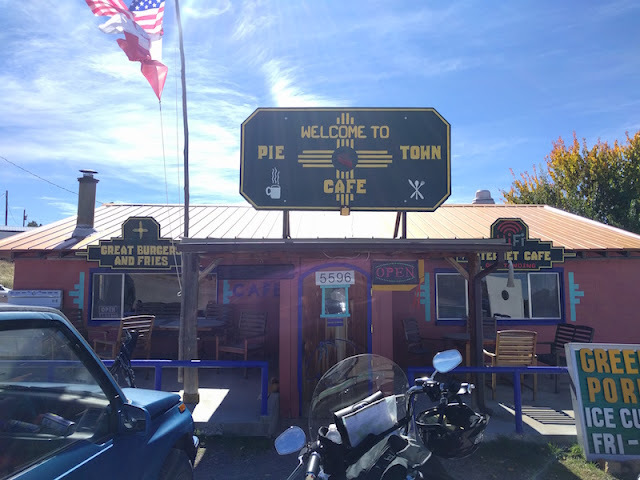 I've been on the Green Chile Cheeseburger trail in New Mexico, and I noticed a town called Pie Town. 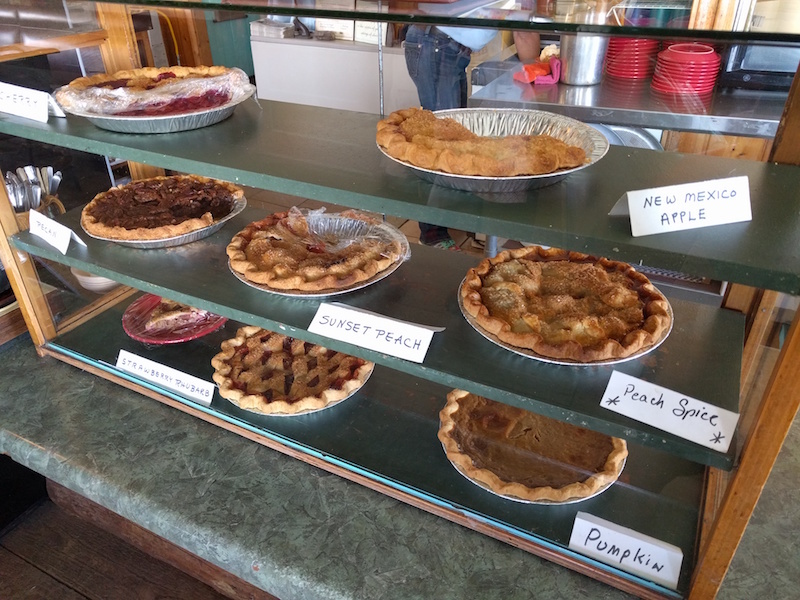 Since I was already at the Very Large Array, it was easy to stop by and try the pies. Find out what I think and see more pictures after the jump. Inside the New Mexico Apple Pie at Pie Town Cafe -- check out the green chiles! The slices are generous, but I still had room to try another one. (Besides, I skipped lunch.) It's October so it seemed wrong not to try the pumpkin pie. I asked for whipped cream on top. The pie was excellent. It's not super sweet or fluffy like some pumpkin pies. 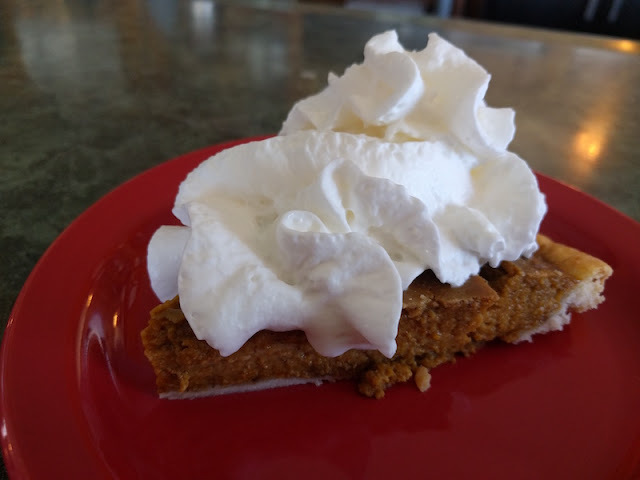 This one is the real deal with plenty of fresh pumpkin. Super friendly service, kid-friendly, and delicious pies. Not a bad way to take a break on road trip! Pie Town Cafe also makes a green chile cheeseburger (as well as a full breakfast and lunch menu) but I only had room for pie. But I'll be back so I can try it next time. TIP! 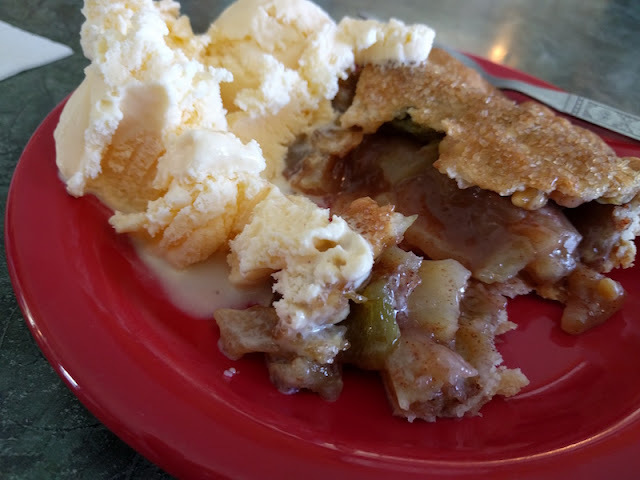 Pie Town Cafe is closed Tuesday through Thursday. 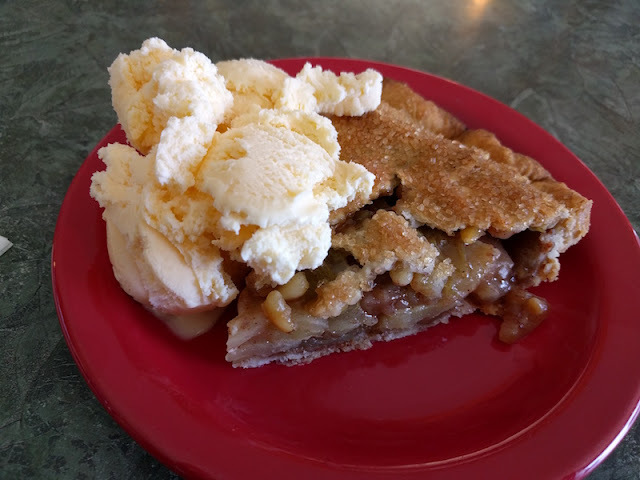 Check out the Pie Town Cafe Facebook page for more info.